Standing within 42 hectares of grounds, this impressive castle offers stylish rooms and a unique atmosphere in the Anholt district of Isselburg, just one kilometre from the Dutch border. The Hotel Nienhaus is a family run hotel-restaurant in the heart of the small town Isselburg, close to the highway. Enjoy the exclusive ambiance in the restaurant, in the historic wine cellar or in the Mediterranean styled garden restaurant. 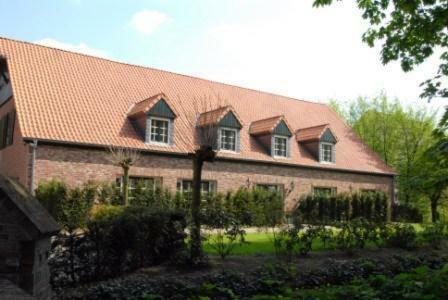 Situated between Anholt and Gendringen, just 100 metres from the German-Dutch border, these spacious apartments enjoy an idyllically tranquil location on a 16th-century rural estate, surrounded by forests and meadows.